Tin masking are ideal for venue covering and safe for crowd.Metalcraft Fencing offers an attractive and high quality, yet cost effective fencing solution. As well as providing a stand alone fence solution, Metalcraft Fencing also offers a versatile design alternative as it lends itself to a range of uses, for instance as infill panels between block columns. 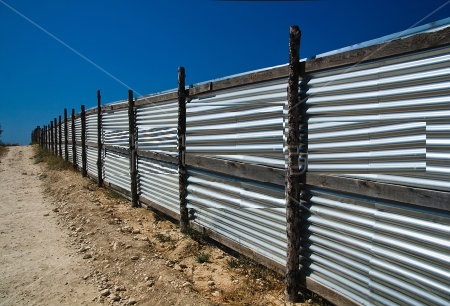 Metalcraft Fencing is suitable for domestic, rural and industrial applications. The Metalcraft Fence system has been specifically designed for easy assembly and installation, which makes it perfect for the DIY handyman.